Vorwerk & Wilson Families - Herbert Arnold Nordstrom Jr.
Herbert Arnold Nordstrom Jr. was born on 24 April 1924 in Hennepin County, Minnesota. William John Peterson and Ione Amanda Higgins appeared in the US federal census of 1 April 1930 in Starbuck, Pope County, Minnesota. Other members of the household included Herbert Arnold Nordstrom Jr., Helen Margaret Peterson. William John Peterson and Ione Amanda Higgins appeared in the US federal census of 1 April 1940 in Starbuck, Pope County, Minnesota, at Seventh Street. Other members of the household included Herbert Arnold Nordstrom Jr., Helen Margaret Peterson. Also in the household was housekeeper Mabel Moe. 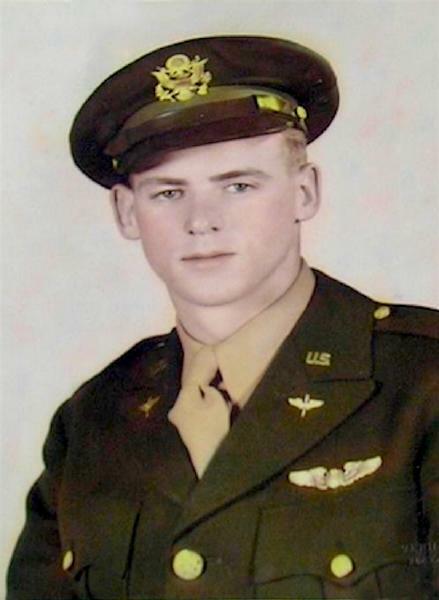 Herbert Arnold Nordstrom Jr. enlisted as a private in the US Army Air Corps on 4 November 1942, in Minneapolis, Hennepin County, Minnesota. At the time of his enlistment he was single and without dependents. He served as a second lieutenant in the 78th Fighter Squadron, 15th Fighter Group. Herbert Arnold Nordstrom Jr. died on 21 May 1944 at age 20 in Mokuleia Field, Oahu, Hawaii, in a training flight crash while piloting a Douglas RA-24B Dauntless. The following appeared on 10 October 1947 in The St. Cloud Daily Times: The first ship bearing the remains of American war dead from the Pacific zone has arrived in San Francisco, the war department announced today.
. . . Following is a list of Minnesota men, killed in the war with Japan, whose bodies were returned to this country on the Honda Knot; (Next of kin in parenthesis) . . .
. . . From outside the Twin cities and Duluth: . . . 2nd Lt. Herbert A. Nordstrom, army air corps (Mrs. Ione E. Peterson, Starbuck). . . . He was interred at Fron Lutheran Cemetery, Starbuck, Hennepin County, Hawaii.